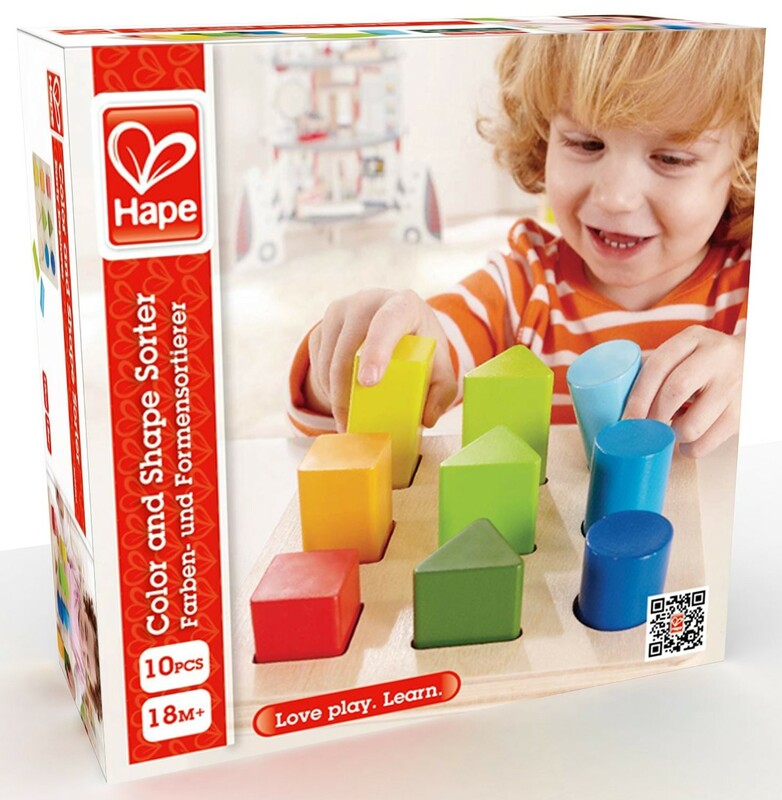 Color and Shape Sorter Learning Toy by Hape combines a cognitive development toy with manipulative activity center in one box. 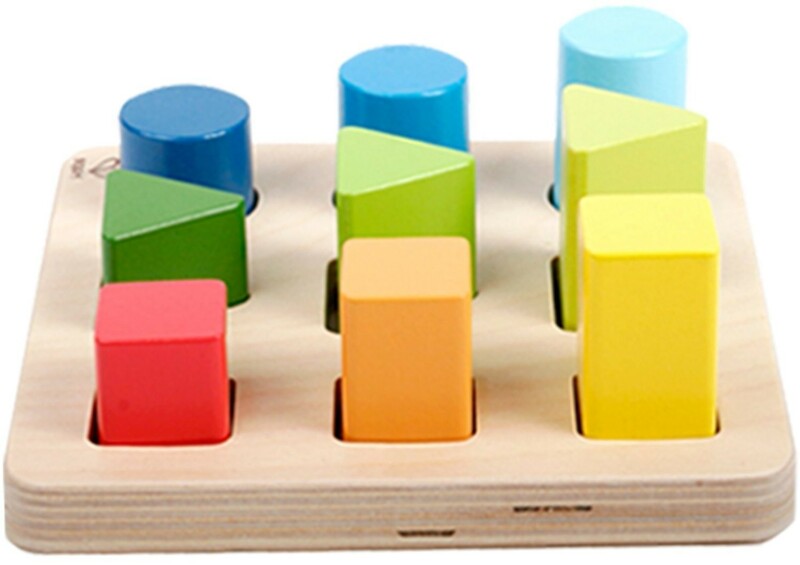 Can you find the green shape? 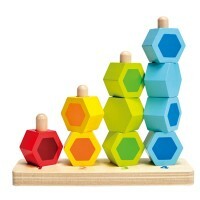 Can you put all blue blocks by their size? 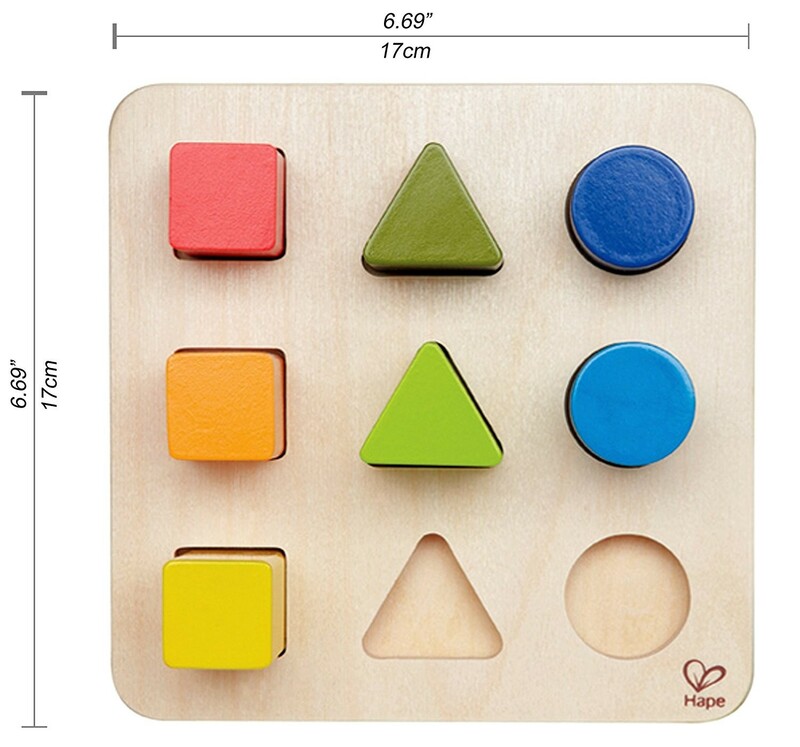 Which wooden block is taller? 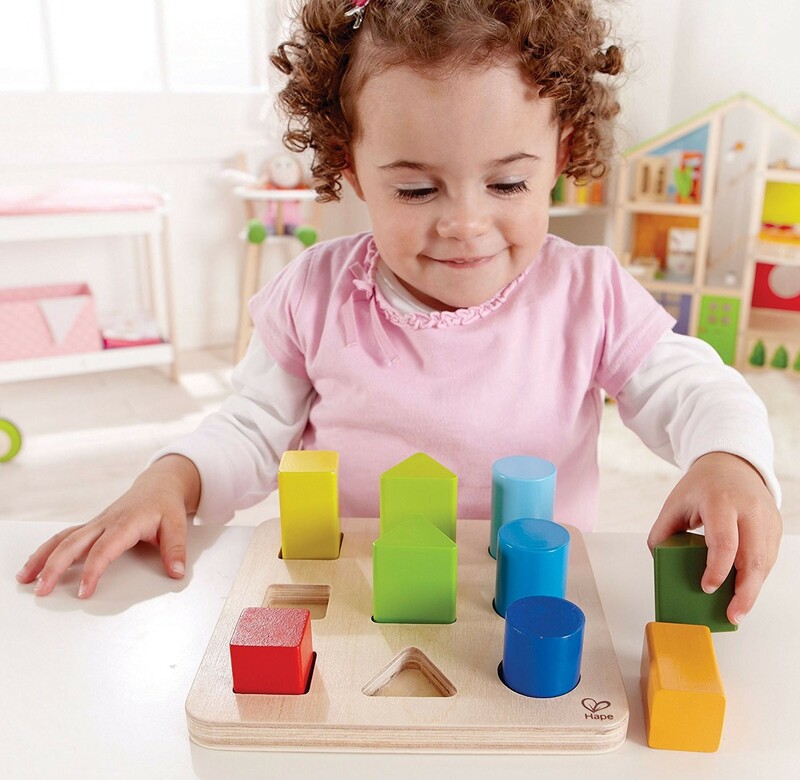 Color and Shape Sorter Learning Toy by Hape combines a cognitive development toy with manipulative activity center in one box. 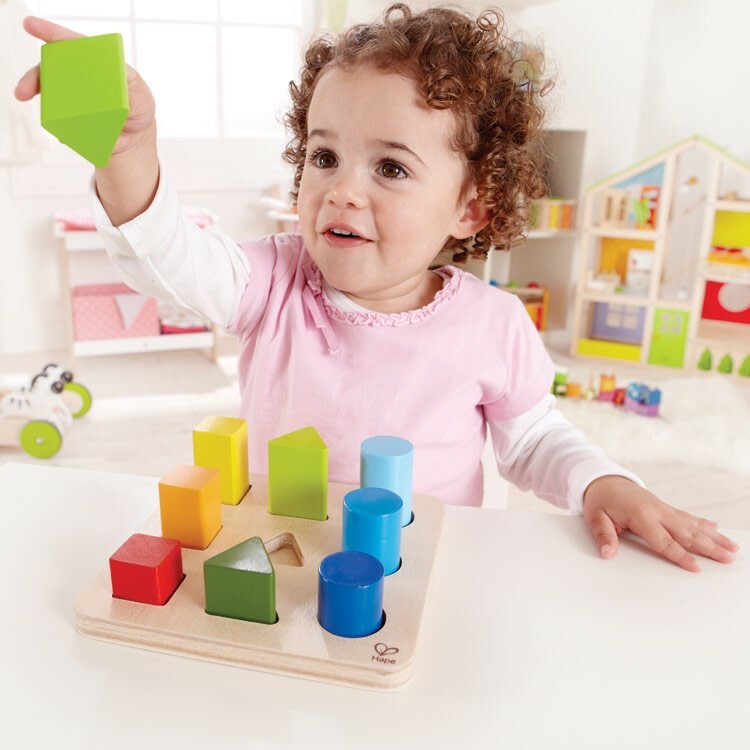 This high quality 10 pcs shape sorter promotes sorting, counting, sorting, size, color and shape identification skills in children from toddlers to preschoolers. 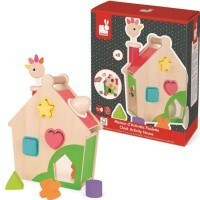 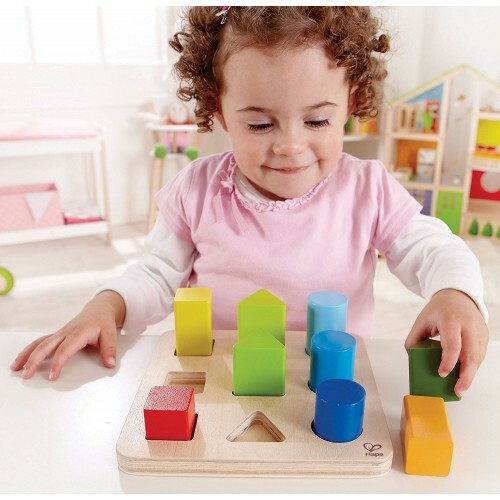 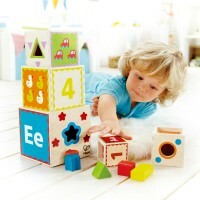 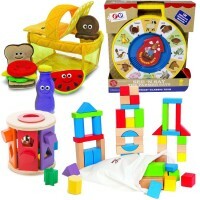 This shape sorting set features 3 easy to grasp basic shapes wooden blocks and a wooden puzzle board. 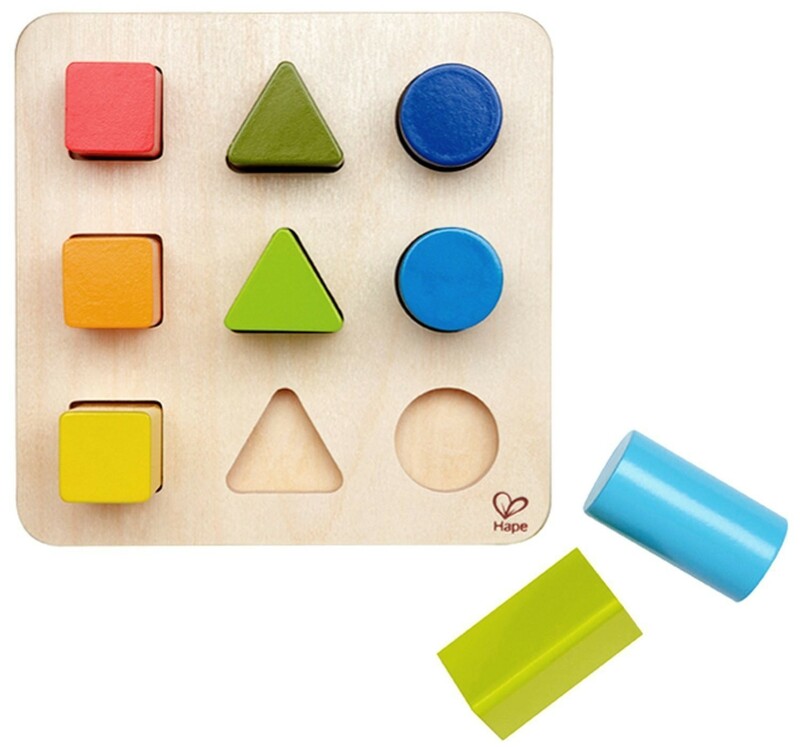 Found the right place on the board for triangles, circles and squares, count the pegs, compare the shapes, and have learning fun with the Color and Shape Sorter Learning Toy. 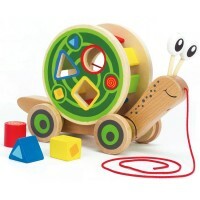 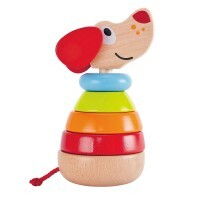 As all Hape's toy, this color and shape wooden sorter features durable child safe paint finish and solid wood construction. 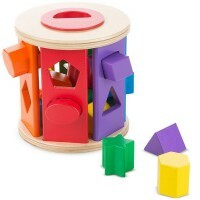 Color and Shape Sorter Learning Toy from Educational Toys Planet meets or exceeds all applicable US toy safety standards. 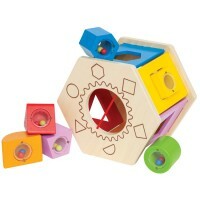 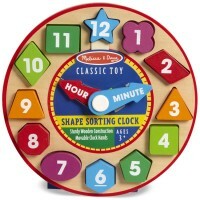 Dimensions of package 6.81" x 6.81" x 2.48"
Write your own review of Color and Shape Sorter Learning Toy.